I hope everyone who is out and about this evening has a fun, and appropriately scary, time. This scene was waiting for me as a drove along the prairies towards Calgary this morning. This entry was posted on October 31, 2014 by Christopher Martin. 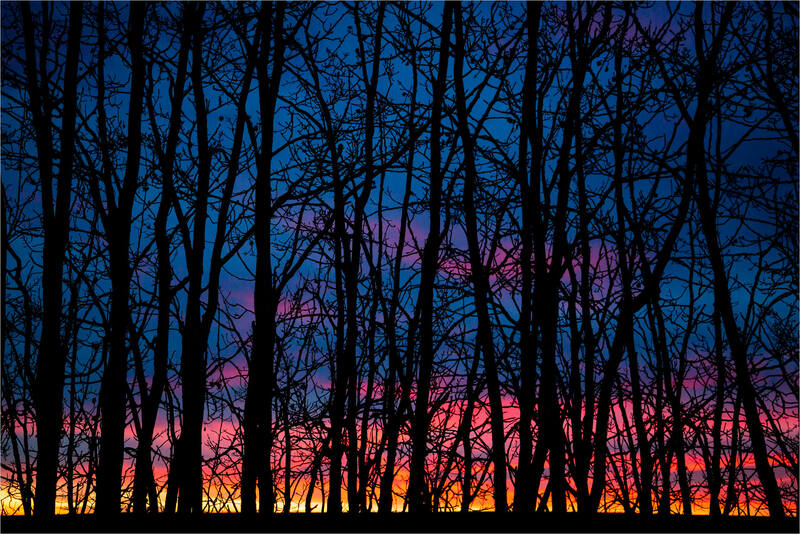 It was filed under Alberta, Landscapes, Nature, Sunrise and was tagged with alberta, autumn, bragg creek, clouds, dawn, Halloween, landscape, night, photography, silhouette, spooky, sunrise, trees. Wow, that is such a beautiful and interesting image! We get great sunsets in October-November. Lovely sky and gorgeous shot. That keeps the drive interesting.